Netflix has enjoyed a massive 45% boost to viewer numbers in the past year, driving up the overall video-on-demand category, according to the IPA's TouchPoints 2018 survey. On average, 99% of UK adults are watching four hours and 41 minutes of TV and online video every day. 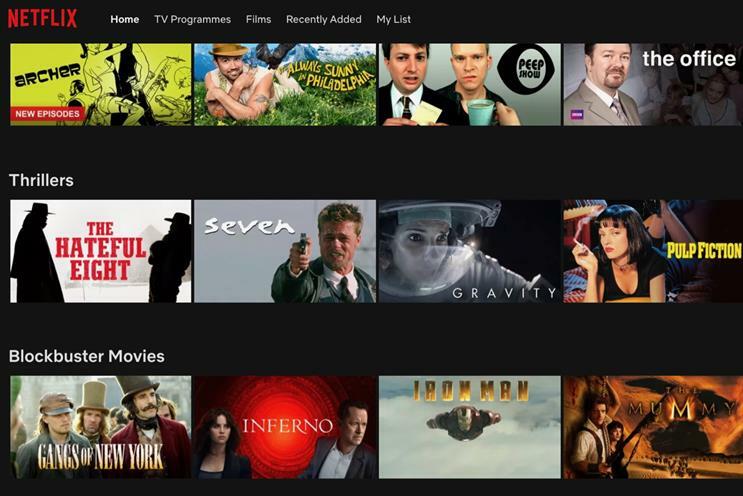 But while terrestrial TV still rules the airwaves, Netflix is at the vanguard of the changing face of viewing habits. Nearly a third (29%) of all adults watching Netflix every week, up from 20% in 2017. This rise is most pronounced among younger 15-34-year-old viewers, where 54% are watching each week (up from 39% in 2017). The IPA report found that adult viewers are also watching Netflix for longer than before — an average of six minutes more per day. Meanwhile, Amazon Prime Video grew to a viewership of 11.7% of adults. While terrestrial TV still dominates viewing habits, its a dominance that is being eroded. The top six most watched offline and online channels in order are BBC One, ITV/STV, Channel 4, BBC Two, Channel 5 and Netflix. The latter has leapfrogged seven channels including Sky, BBC Four, ITV2 and E4 since last year's report. Given the rocketing popularity of video streaming, it is little surprise that British consumers are less keen on being told what to consume and when, and instead are more inclined towards choosing what to watch and when. Accordingly, binge-watching is on the rise, with 52% of all people surveyed saying they tuned in to TV or online to compulsively watch several episodes of a programme. Overall media consumption is also on the up since last year's TouchPoints findings. 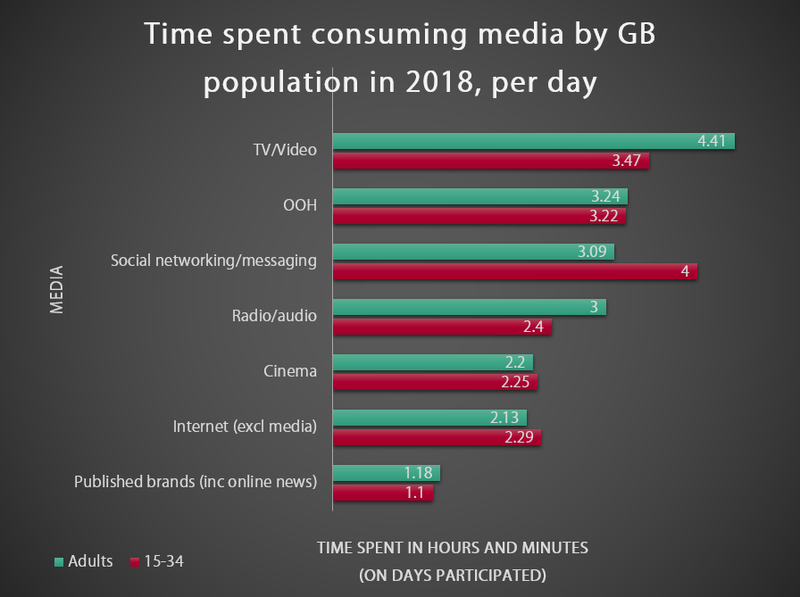 On average last year, people consumed eight hours and 11 minutes of all media (including TV, radio, social networks, messaging, internet and cinema) per day. This marks a 3% increase year-on-year and a hike of 17% on 2005, when the IPA's survey made its debut. However, attention spans are being divided, with a huge 94% of consumers multimedia-tasking, that is consuming two or more media in the same half hour at some point during the week. Belinda Beeftink, the IPA's deputy research director, said: "The TouchPoints dataset provides a fascinating and comprehensive look at how we, as a nation, are spending our days and what is making us tick. The clear message from these media-related stats is that we are actively seeking out content – good content - via any platform, channel, and through any device. Particularly screen-based devices. "The broadcast landscape is changing and the ways in which we all take content is changing too. All broadcasters are increasingly at the mercy of consumers’ daily habits, rather than consumers being at the mercy of the broadcasters’ scheduling decisions. In essence, it seems consumers would like to choose – and not to be told – when to tune in."